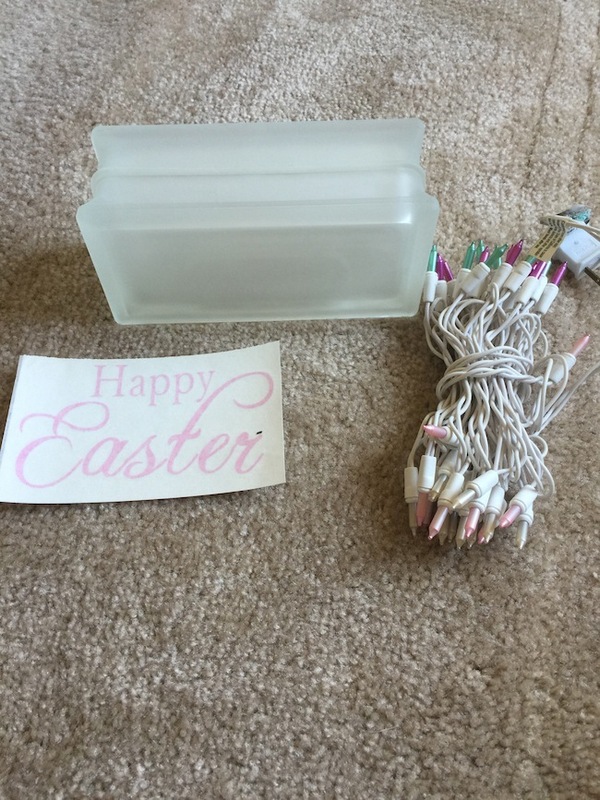 Easter Glass Block Night Light Tutorial | Be Plum Crazy! 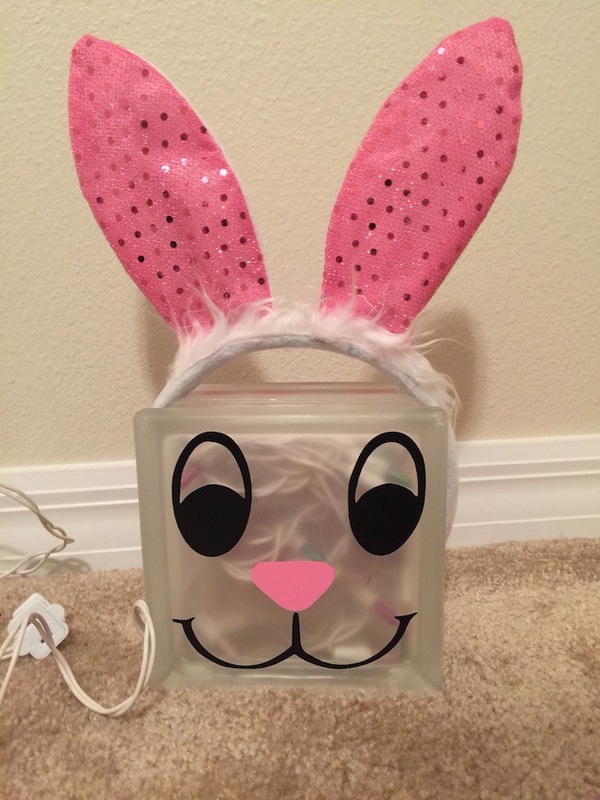 Easter Glass Block Night Light Tutorial! 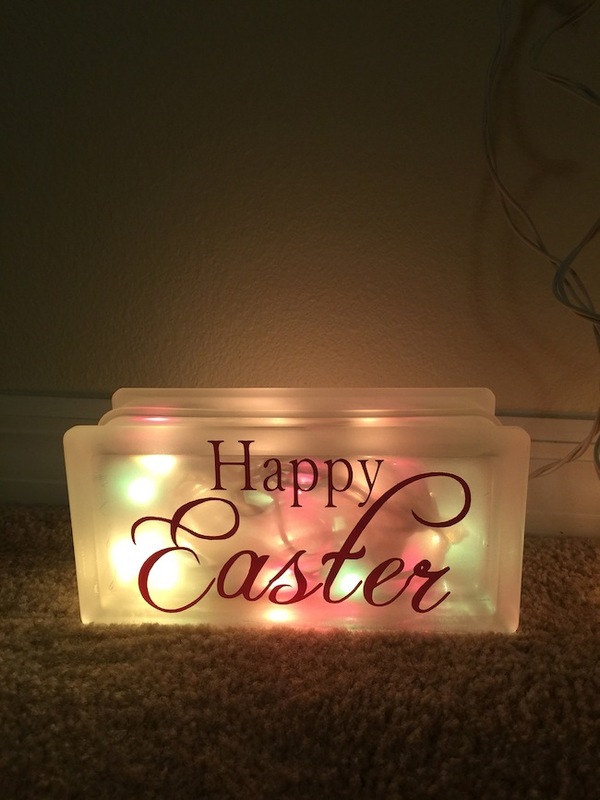 The Easter Glass Block Night Lights are actually really simple to make and are a great addition to your Easter display. Remember last month, when I made the Valentine’s Day Glass Block night light? 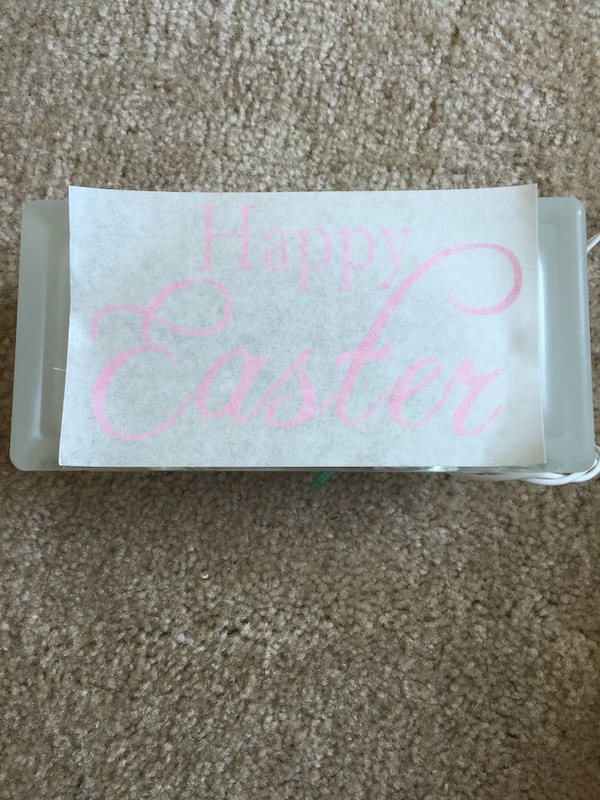 Well, the one Easter Glass block is made on the other side of it. 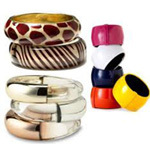 Repurposed in order to save money. 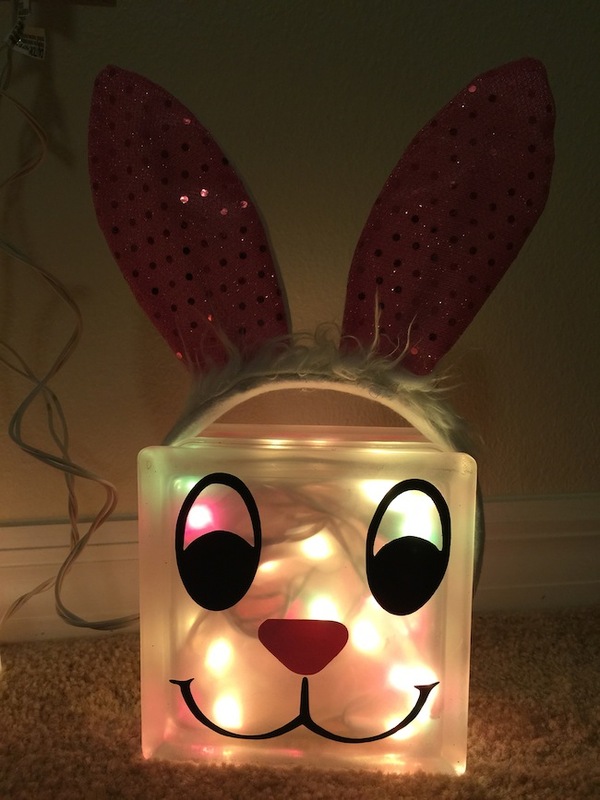 I swapped out the lights with an Easter set, transferred my Easter face to the glass and put on a set of bunny ears that I got at the dollar tree. 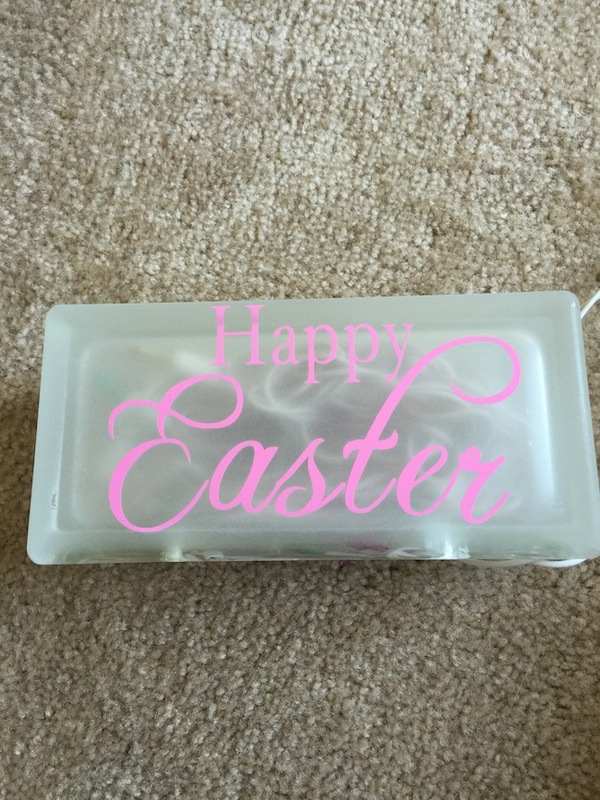 The smaller one, I sprayed with the frosted glass spray, added the Easter set of lights, transferred my vinyl “Happy Easter” and it’s done! I told you they were super simple easy. The vinyl transfers I could have made myself if I had a Silhouette machine, but I purchased them on Ebay for a couple dollars. 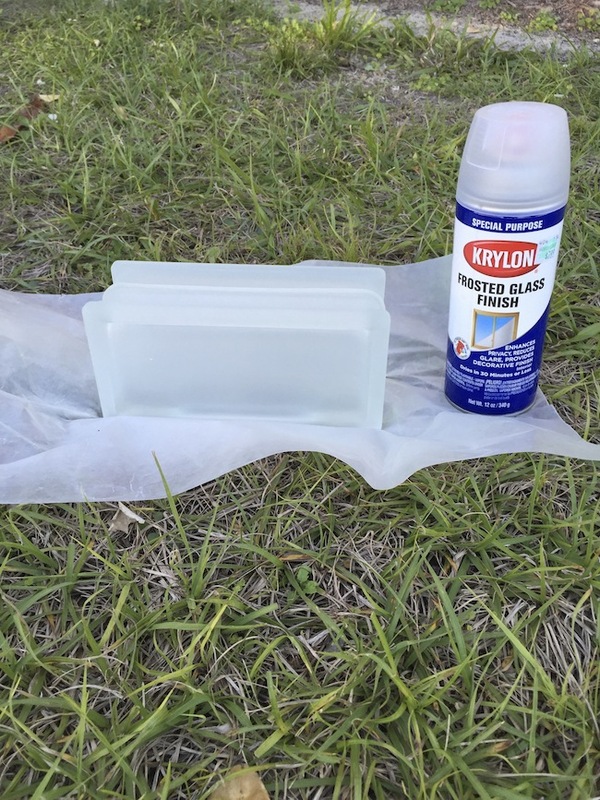 I think the hardest part was trying to spray the frosted glass spray while I was up in Buffalo. It was always too cold and the garage was no better. Once I was back in Florida, it wasn’t a problem. 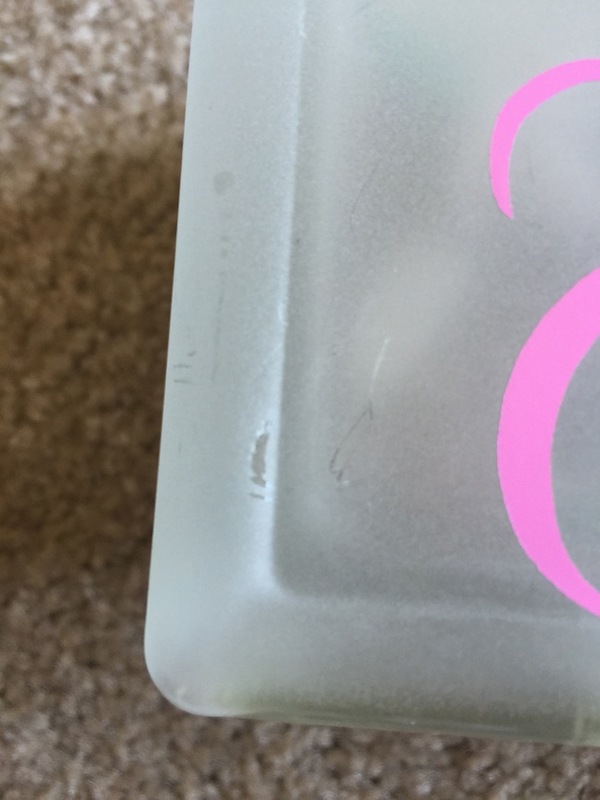 The one mistake I made was I rubbed a little too hard and took off some of the frosted spray. Oh well, live and learn. Otherwise, I think they came out mighty cute. The glass blocks, I actually bought after Christmas at Hobby Lobby for 50% off, making the large one only $5! 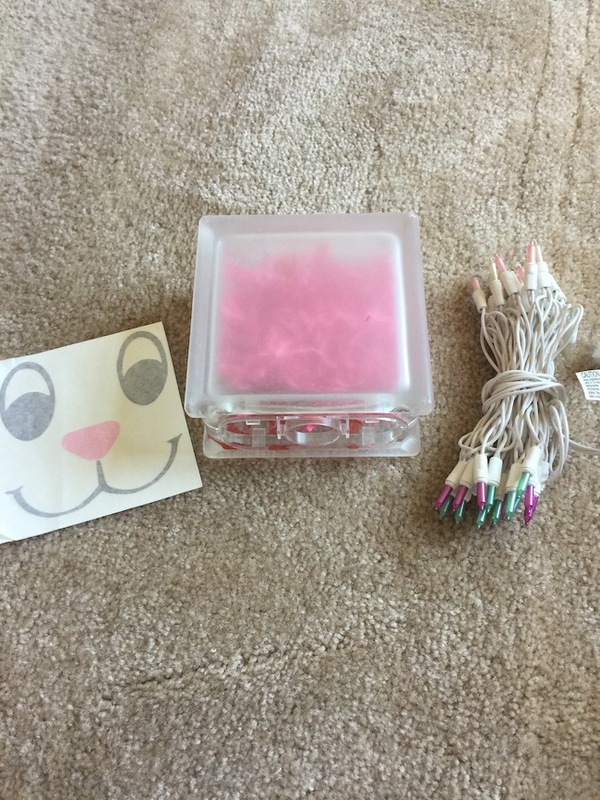 The Easter colored lights I had forever but I’m sure you can also get them at the craft store or even Walmart. 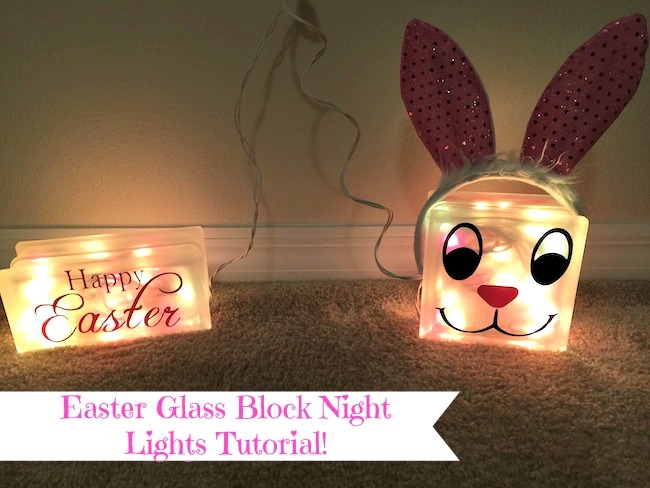 Topic: Easter Glass Block Night Light Tutorial!